Who is your least favorite Overwatch hero? I must be one of the very few people who enjoys the GOATs meta in Overwatch. Before you get your pitchforks, let me explain: Doomfist, whether he’s on my team or the opposing team, makes me absolutely lose the plot. The leaping, the swooshing, the diving — I don’t know where I am or my targets are, until I’m splatted up against a pillar like a bug on a windshield. 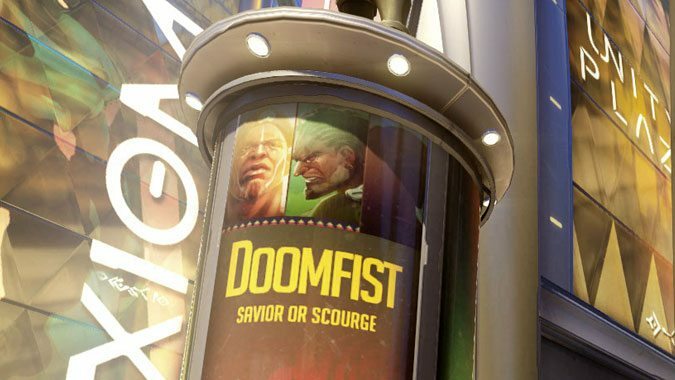 The meta prior to GOATs was all about locking down your opponent with Doomfist best as you can, and as someone who plays a lot of Support I’m generally his first target. I’ll admit that GOATs is a quite slower game, frequently boiling down to a teamfight or two, but since it knocked out Doomfist and brought in more Supports, I’m here for it. I’ll be over here launching yellow balls and nano boosting to my heart’s content for now, thank you. Those times when I draw Doomfist on Mystery Heroes I just kinda flail in the direction of the opposing team, hoping they put me out of my misery so I can get a hero I’m good at. The times I’ve picked him? Literally never. Lots of the speedy, leaping heroes are tough for me to play super well — Doomfist is the worst, but oddly Winston is pretty bad. With Genji I can do the distance thing with his primary fire alright, but my blades are downright tragic to watch. Oddly, I seem to do OK with Tracer, but that’s mostly because if all else fails I can Recall to find my footing again. So, who is the Overwatch character you dislike to play the most? Does it change from meta to meta, or does it go beyond that? Will you knuckle under and play your least favorite for the greater good?